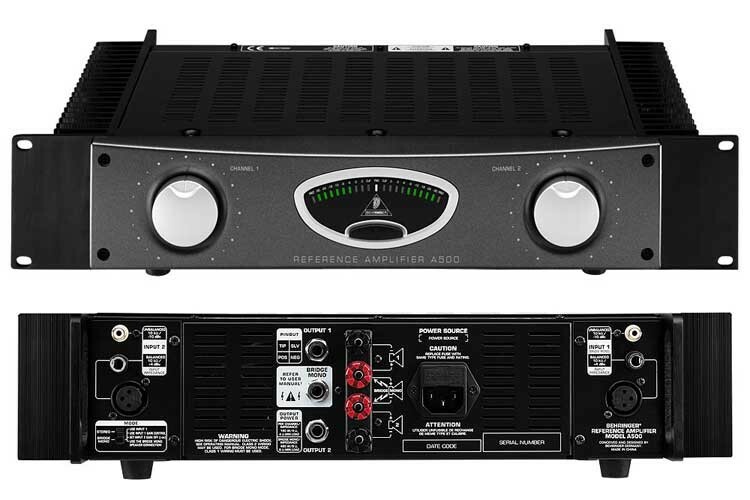 This ultra-linear power amplifier is the top choice for recording studios and post-production work, yet its amazing price is just the beginning. 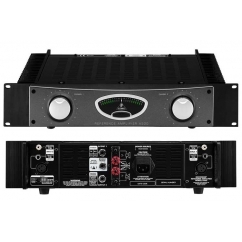 You get true audiophile-grade performance that delivers 2 x 230 Watts into 4 Ohms or 500 Watts into 8 Ohms bridged, with enough overhead to always keep you on the safe side. The A500’s advanced convection-type cooling system guarantees stable, noise-free operation, while its servo-controlled design can drive virtually all passive speakers. A precise level meter and clip indicators are provided for accurate performance monitoring. Input connections are laid out on balanced XLR, 1/4' TRS and RCA connectors, making sure you never run out of connectivity options. Plus, the speaker outputs give you a choice between professional 'touch-proof' binding posts and 1/4' TS connectors. To assure years of trouble-free operation, we only use the ultra-reliable Toshiba® or Fairchild® high-power transistors that are known for their rock-solid reputation. 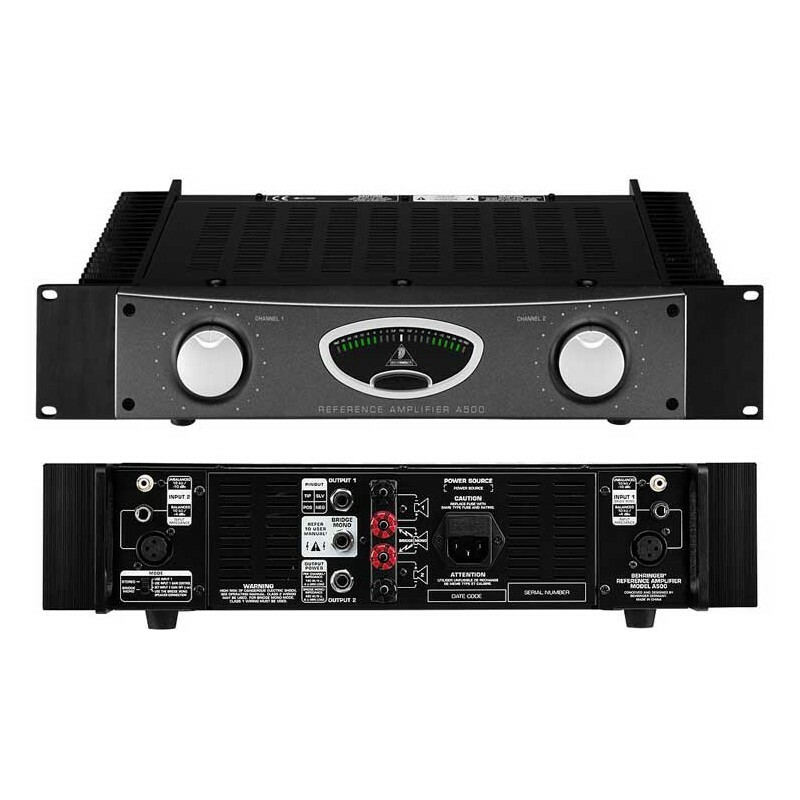 In addition to all these features, an independent thermal overload protection system with LED indicators for each channel automatically protects both your amplifier and your speakers. Last but not least, we have relied on a tough high-current toroidal transformer for absolute reliability and lowest noise interference possible.